We Test, We Don't Guess! At Springs Integrated Health, we break down health and wellness concepts into attainable goals. We provide you with simple, common sense tips to prevent disease and live a fuller, more well-rounded lifestyle. Our team of doctors, chiropractors, physical therapists, nutritionists, and other dedicated staff strive to offer only the best all-natural medical care in the world. Our philosophy is simple: deliver real, lasting results through simple, easy-to-follow solutions. At Springs Integrated Health, we are dedicated to helping you achieve your health goals to improve the quality and quantity of your life! Combining the skills and expertise of physical medicine and holistic wellness care, our doctors and physician assistants are committed to bringing Colorado Springs better health through education and practicing the principles of a healthy lifestyle. 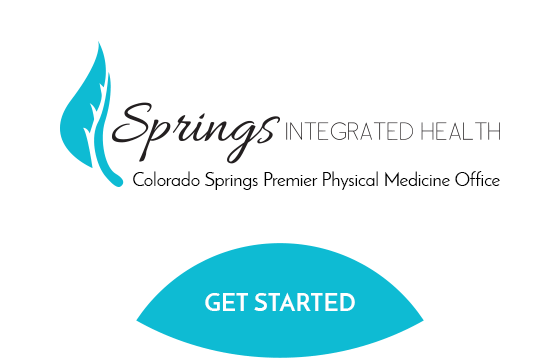 Whether you need physical therapy or chiropractic care, when you choose Springs Integrated Health, rest assured that you are receiving the finest medical care along with cutting edge equipment and the latest technologies. We put our patients first. We listen, pinpoint the problem, and help you heal.